Although this may appear to be a New Age self-help guide along the same lines as other titles by Susan Shumsky, the content this book is mostly referential. Indeed, on the back of the book it is billed by one of the testimonials statements as being a "companion book to Exploring Meditation" (one of her previous books), which is a accurate summary than the subtitle. The Power of Chakras is a very well-structured and highly detailed reference text useful to anyone wishing to explore the ancient Eastern philosophy of chakras, increasing one's pranic energy and enabling the rise of Kundalini energy. The raising of Kundalini energy is not without its dangers, and the author advises that this inner spiritual work is best undertaken under the guidance of an establish spiritual teacher. There are many 'so-called experts' out there, she warns, and a prevalence of poor practice. Unlike in Westernised medicine, these kinds of approaches to inner healing or spiritual growth require no qualifications to become a 'Guru' (apparently Sanskrit for 'removing darkness', as well as the name for the planet Jupiter (pp187-8)). So, anyone can set up shop as a Yoga Master, write books on the subject and run courses or retreats. Caveat emptor! The chakras (Sanskrit for 'wheels' - we get to learn quite a bit of Sanskrit in this book) are vortexes of intense pranic energy (p59 & p105). They form an integral part of the subtle body, which is equivalent to our auric field - a phenomenon not measurable by scientific means, but knowable through clairvoyant sense perception. There are a great many of these chakras , generally running up the physical body's spinal column, and I guess they might be likened to the subtle body's tube stations on an underground line. The main (only?) train in this system is the Kundalini energy, which generally lies dormant at the bottom of the line, waiting for its chance to rise to the subtle body's Grand Central Station located above the head. At which point the conductor calls "All change!" There's a lot of profound wisdom in this, and the author quotes many ancient Indian scriptures (like the Upanishads) to drive these philosophical points home. The chakras seem to be like junction points to networks of divine spiritual energy that we can learn to interact with, and experience by subtle sense perception and consciousness (chitta). 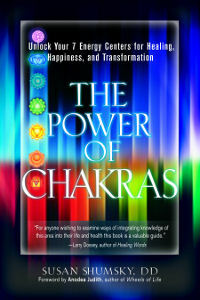 The chakra system can be unlocked through laya (individual absorption) and prabya (cosmic absorption) (p87). However, the simplicity of this spiritual message is at odds with the mindblowingly elaborate system that comprises this subtle body. There are no Zen Buddhist-style koans to unlock the paths in this Indian system - quite the opposite really. The interflowing system of pranic energy, nadis and chakras reminds me more of Western anatomy and physiology, causing me to think that this elaborate ancient Indian system reflects an increasingly complex appreciation of the actual workings of the body. But instead of pharmaceuticals and surgical interventions, the ancient Indians tried to fix their problems through mental intervention, essentially trying to control the workings of the body through complex yoga routines. I'm sure there is some real value to such an approach in terms of strengthening and purifying the body's systems, as well as the more direct psychosomatic benefits. But it can only really be an adjunct to medicine, whose diagnostic power and affected control of our biochemical systems is likely orders of magnitude more powerful in its efficacy. Not to mention the danger that some of the more extreme yoga routines discussed in this book actually pose. There were a number of 'bandhas', or muscular contraction techniques, designed to affect the subtle body through the enhancement of the flow of pranic energy. Many of the more extreme breathing exercises came with health warnings, and advice to seek the permission of your doctor before proceeding. I was particularly concerned to read about a practice of 'tongue lock' (p169), which I suspect provides some kind of self-asphyxiation-induced altered state of consciousness, but also likely puts the practitioner in danger of actual asphyxiation through swallowing their own tongue! The answer to that central question was not delivered by this book. Although I'm sure the author has had many personal experiences to draw from regarding yoga practices and the release of Kundalini, this book heard next to nothing of them. Instead, the author quoted third party experiences of awakening Kundalini, both good and bad. These disparate accounts did give the sense of what direct experience of a Kundalini transformation could feel like to an individual, but not a unified sense of why. Without a flow of personal insights, a book like this becomes rather dry. The structured nature of various sections of the book, which aid reference, created the sense of a lecture presentation rather than a therapist's session. One awaited the wonderment of a masterful teacher's insightful lesson; something I'm sure the author is easily capable of, given her glowing references. But it was not to be. There were some positives to this more referential format. I found my way around easily, getting to know the architecture of the tube stations pretty well by the end of it. I enjoyed the discussions of the symbolism of the various deities associated with the different chakras. These were accompanied by some delightful illustrations. I also learned a lot of Sanskrit, which I'm sure will prove useful. I came to appreciate, if I hadn't before, how devoted one must become to undertake this kind of self-transforming work. I learned that 'acclimate' is actually a word. This reference material was well written, and well-presented. In conjunction with guides to successful practice (in the form of further books (which the author repeatedly recommended through the text)) or, better still, spiritual guidance from a yoga teacher, then this book provides a helpful aid to dissecting the complexities of the ancient Indian spiritual system. Subtitled "Unlock Your 7 Energy Centers for Healing, Happiness, and Transformation"